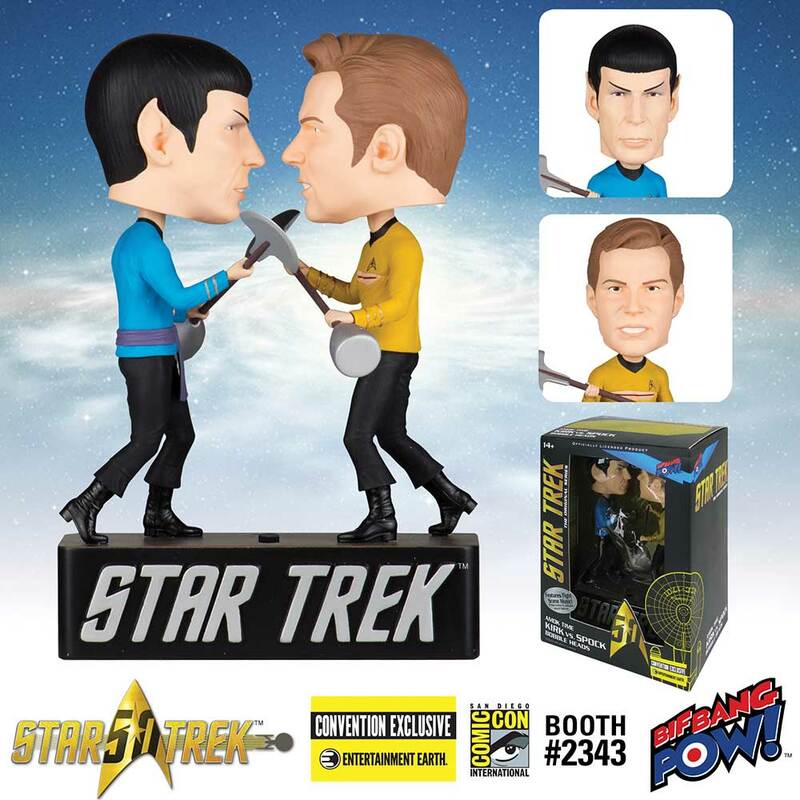 It's captain vs. first officer with Star Trek: The Original Series Amok Time Kirk vs. Spock Bobble Heads - Convention Exclusive from Bif Bang Pow - only at Entertainment Earth! Captain James T. Kirk and First Officer Spock square off in a duel to the death in this spectacular bobbling duo taken from the "Amok Time" episode of Star Trek: The Original Series. 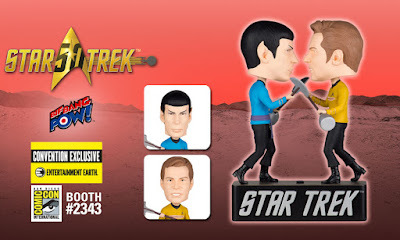 Standing on a Star Trek-themed base (measuring 7-inches tall x 4 3/4-inches wide), Kirk and Spock battle and bobble with lirpa weapons in hand! With a simple push of a button, the iconic fight scene's music plays from the extraordinary resin piece - bringing the duel intensity to life. 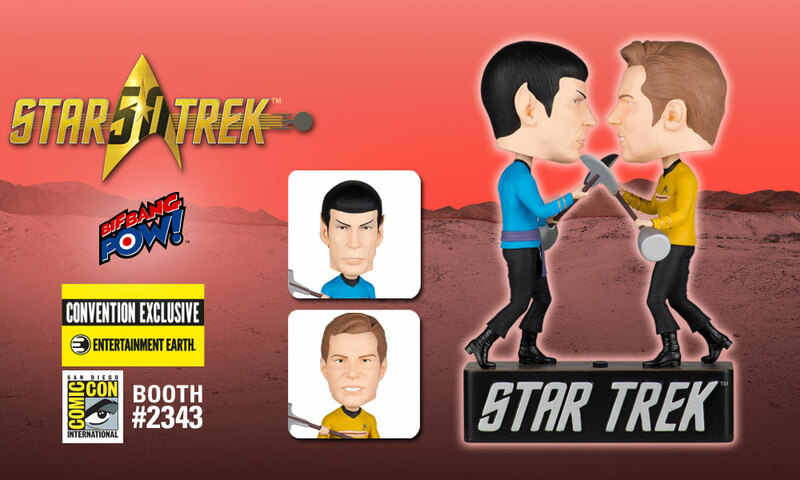 Limited to only 2,502 pieces, each Entertainment Earth Convention Exclusive is individually numbered with a holographic sticker. Sound device includes 2x LR44 (AG13) 1.5v batteries that are replaceable. Ages 14 and up.